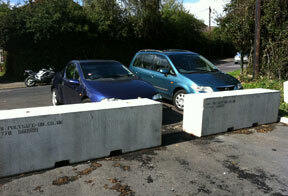 Polysafe concrete barriers are a permanent solution, when strategically placed for traffic management, can ensure that vehicles go where you want them to go – and kerb style barriers can be used to ensure lane discipline by stopping drivers driving diagonally across spaces. The trouble with plastic and even steel barriers is that they can be moved relatively easily – which means you have to pay staff to monitor them, or risk having vehicles where you don't want them. For large events the flow of traffic can be made easier and safer with concrete barriers showing the way – and lead to a better experience all round, ensuring your customers get to your event or exhibition smoothly and in the right frame of mind! 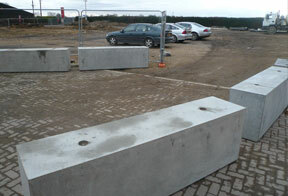 And if you just want to keep people off verges, you could make use of our longer, lower kerb style concrete barriers – they are still too heavy to move easily.